Tahir Javaid, the Vice President, Human Resources and Public Affairs at Engro Corporation Limited gave a talk to MBA students on Friday, December 02, 2011. As part of the senior leadership team, he is primarily responsible for talent management and leadership development. Tahir Jawaid threw light on the hiring process at Engro. He talked about the various businesses of the company. 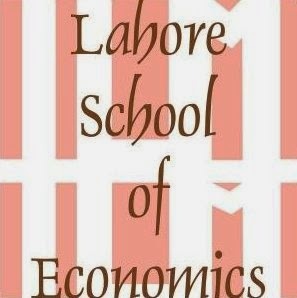 He said that Engro always wanted to attract top quality human resource. Engro has been recruiting graduates through career fairs and graduate recruitment programs. 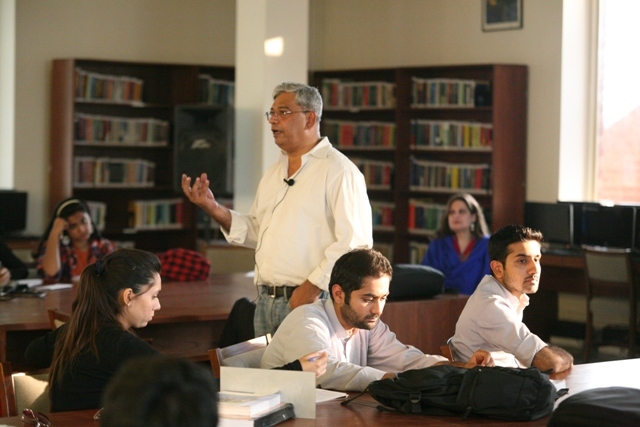 Engro provides challenging learning environment, where fresh employees can work with top industry professionals. 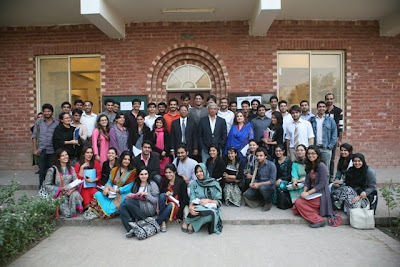 Tahir Jawaid also threw light on Engro internships. He said that Engro offered internships to students who were willing to learn and have the ability to execute tasks with maturity and responsibility. Students asked many questions regarding the recruitment process at Engro and career development. Interactive session was attended by some faculty and staff members as well.